Porosity is the term used in the science of hair care to describe how easily water and other matter can diffuse back and forth through the cuticle layer and into or out of the cortex. Hair is much like a sponge, capable of absorbing water and other substances from the environment; it is also susceptible to losing precious moisture and lipids to the environment. Maintaining an optimal balance of moisture in your hair preserves its elasticity. This is especially important for those of us with curly hair, as it greatly influences the health and beauty of our curls. The individual scales of the cuticle overlap one another much like the feathers of a bird or scales on a fish. This amazing system allows diffusion of oils and moisture into and out of the hair, as needed. Porosity is determined by how tightly the cuticle scales adhere to the surface of the hair shaft and also by how thoroughly adjacent scales overlap one another. Hair described as having low porosity is characterized by a tightly bound cuticle layer where the individual cuticle scales lie flat and overlap one another. Low porosity hair is quite shiny, especially if it is a darker color. This porosity is considered to be healthy. If your hair repels water when you attempt to wet it, that is a good indication that it has low porosity. It is difficult to chemically process because of its resistance to penetration. It is prone to an excessive accumulation of protein if deep conditioning products are used, and feels stiff and straw-like. High porosity curls require products that are rich in moisture and emollients; they also benefit most from products that contain humectants that attract and retain moisture to the hair. If hair with very few or very small openings becomes dry for some reason, it can be difficult to restore the proper moisture balance to it. In this case, a deep conditioning treatment with moderate heat would be a good way to ensure the cuticle is sufficiently opened up to allow moisture to enter into the cortex. Hair possessing to hair with this level of porosity generally requires the least amount of maintenance. Normal porosity hair allows moisture to pass into the cortex as needed, but resists permitting too much water to penetrate. Repeated works by various research groups have found that healthy hair of average porosity can absorb water up to a maximum of 31.1% by weight. Normal porosity hair has a tendency to hold styles well. Perming or coloring can be done in a predictable manner, following the usual guidelines of the product. However, one must note that these processes will damage the hair and increase its porosity over time. 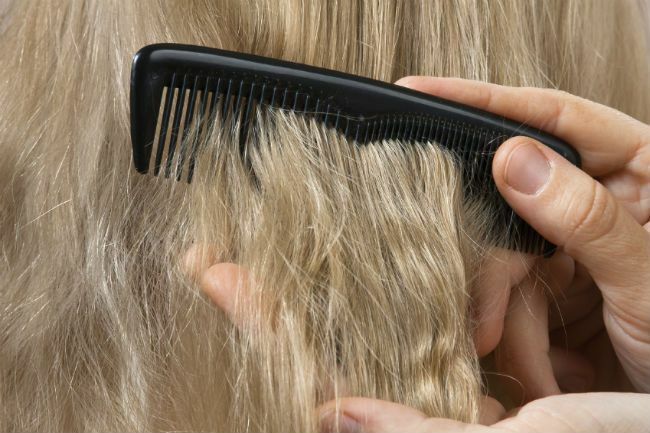 An occasional deep conditioning treatment with a protein-containing product will be of benefit, but proteins should not be included in the daily regimen. Chemical processes, harsh treatment, and environmental exposure are all responsible for causing cumulative, irreversible damage to the cuticle layer. High porosity is a result of damage to the hair that creates gaps and holes in the surface of the shaft. Hair with this type of uneven, pitted and rough surface is prone to damage resulting in a cascade of effects that culminate in unmanageable and unlovely locks. Curly girls with high porosity hair should use products with lots of moisturizers and emollients and also use anti-humectants in high heat and humidity climates in order to seal their cuticle against excessive absorption of moisture from the air. Protein treatments can also be helpful for patching some of the holes in the hair. However, it is important to follow up with moisturizers in order to avoid a stiff texture. Rinsing with a slightly acidic rinse will help flatten and seal the cuticle. Genetics and curl pattern contribute to how tightly the cuticle layer adheres. Some people have a circular hair shaft, which is optimal for cuticle scales to lie flat and overlap one another, resulting in low porosity. Other types of hair are more elliptical or even flat and ribbon-like. This geometry doesn't allow for all of the cuticle scales to lie flat and overlap one another along the axis of the hair. This creates areas of discontinuity in the cuticle layer, adding porosity to the hair. 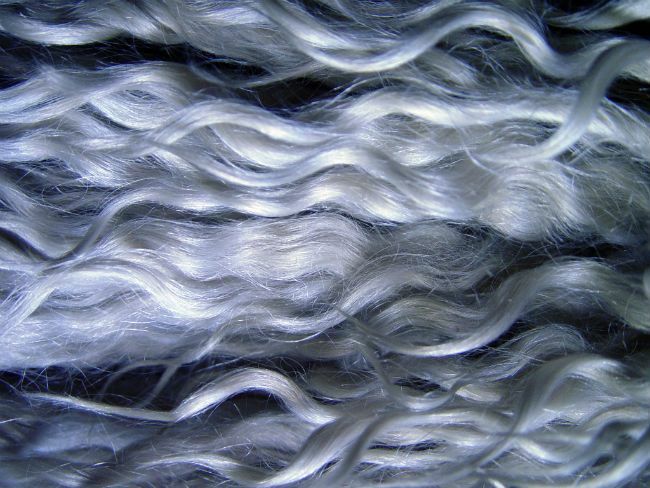 Curly hair has a tendency to be naturally higher in porosity than straight hair. This is because the spirals in the helical configuration of the curls create areas where individual cuticle scales are raised slightly away from the longitudinal axis of the hair. The curlier the hair is, the more breaks you have in the smoothness of the surface, so the porosity is invariably increased. Mechanical Damage: Combing, brushing, and friction from scarves, and hats, and scrunchies all cause damage to the cuticle layer. Over time all of these can result in torn and ripped cuticles, thereby increasing the porosity of the hair. Curly hair should only be combed with a wide-tooth comb while it is wet and coated with a conditioner for maximum slip. This minimizes friction and subsequent damage to the scales. Shampooing with sulfates and soaps: The cuticle layer is comprised not only of keratinous scales, but also a layer of fatty acids on the top surface that protect the hair from moisture, as well as a layer beneath the scales called the cell membrane complex (CMC). This acts as a cement the keep the cuticle scales firmly attached to the hair. A large portion of this CMC is made up of a lipid layer of mixed fatty acids, including 18-methyleicosanioc acid (18-MEA), stearic acid, and palmitic acid.